“I laughed and I laughed and I laughed,” says The Times of the double Sony Award-winner. He’s known for his expertly crafted one-liners and boasts “more quality jokes in one hour than many comics have in their entire careers” (The Scotsman). Delaney has written for 8 Out of 10 Cats, Live at The Apollo and the Royal Variety Performance and regularly appears on Mock the Week. Please note: this date has been rescheduled from the originally advertised date of Sunday 29 May 2016. 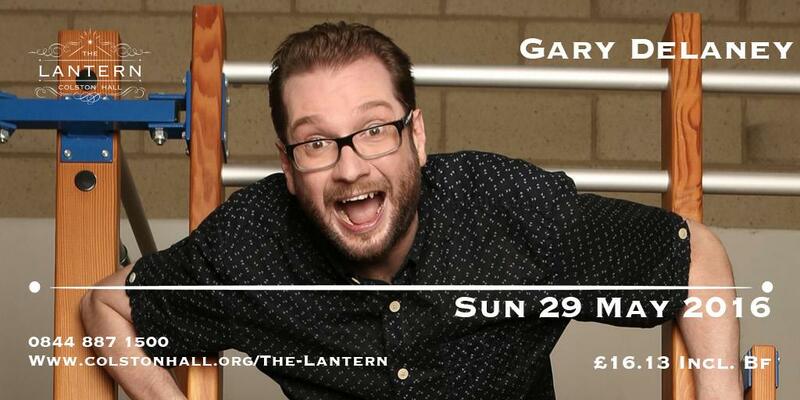 Gary Delaney’s razor-sharp one-liners leaves his audiences struggling to remember them all and gagging for more. He’s a regular on Mock The Week and has also appeared on Dave’s’One Night Stand, Comedy Central’s The Comedy Store and Comedy Blue, and on Channel 4’s Robert’s Web. He has also been on Radio 4’s Loose Ends, Radio 5’s 7 Day Saturday and Radio 2’s Russell Kane’s Whistle-Stop Tour. Gary has written for many TV programmes including 8 Out of 10 Cats, Mock the Week, 10 O’Clock Live, A League of Their Own and Stand Up for the Week. Gary received two Sonys for his work for Kerrang! Radio. Even his Twitter feed was also nominated for a Chortle Award. Gary’s debut show ‘Purist’ was a hit at the Edinburgh Festival in 2010, selling out every night and receiving many four and five star reviews. In 2013 he returned to the Edinburgh Festival with his second show ‘Gary Delaney 2: This Time It Isn’t Personal’. Morning @Colston_Hall, what time do the doors open for @GaryDelaney tonight?